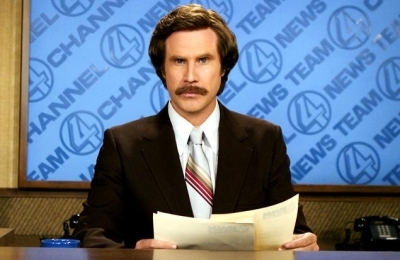 Anchorman: The Legend Continues… in book form! Plus: Universal Pictures Emerging Writers Fellowship, the internet's power over publishing, the "Strong Female Character," and comedy writing! Universal Pictures is launching their Emerging Writers Fellowship for aspiring screenwriters! More info can be found on the NBCUniversal website. Applicants can begin submitting for the program starting September 3.